Throughout October, in conjunction with the National Family Partnership’s 33rd Annual Red Ribbon Week®, families and schools decorated their homes and campuses to promote living healthy, drug-free lifestyles. Each decoration features a red ribbon and this year’s national Red Ribbon Week theme: “Life Is Your Journey. 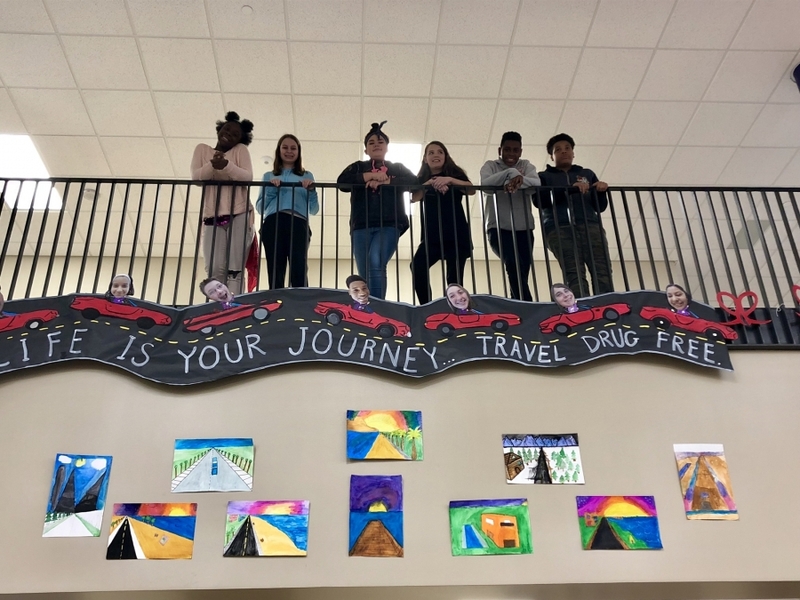 Travel Drug Free.” Now Middletown Middle School needs your votes to win the grand prize: $1,000 for their school’s drug prevention programs. $20,000 in total will be awarded to 20 schools across the country. The National Family Partnership’s Red Ribbon Photo Contest, now in its eighth year, is co-sponsored by the National Family Partnership and the Drug Enforcement Administration. The contest was created in an effort to prevent drug use and educate youth during Red Ribbon Week and beyond. A total of twenty winners will be announced Dec. 3. To learn more about Red Ribbon Week, visit www.RedRibbon.org.